No longer considered a luxury, massage is therapy; it facilitates the body’s natural ability of self-healing and propensity for balance. 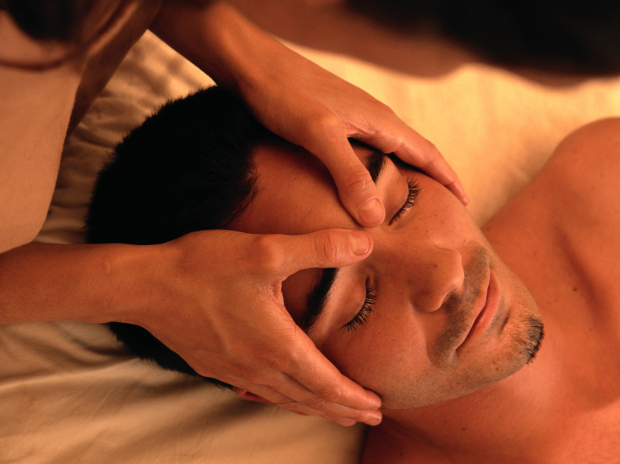 Most clients seek massage therapy for pain and stress reduction. Sore, tight and aching muscles are usually a result of repetitive movement patterns, postural misalignments, injury, illness and emotional stress. Triessa’s approach addresses these concerns by including a combination of therapeutic techniques to promote relaxation, pain reduction and soft tissue release tailoring every session to the needs of the client. Triessa DeSimone is a graduate of The Institute for Therapeutic Massage’s Oncology Massage Program. Her practice has been primarily medical massage working with patients during physical therapy but her experience ranges from hot stones and relaxation in the spa to hospital based therapeutic massage for the medically frail. She has been thoroughly trained in Oncology Massage and Manual Lympathic Drainage and has worked with patients during chemotherapy, hemodialysis, and inpatient hospital stay. Triessa also has extensive experience working on various orthopedic ailments such as rotator cuff syndrome, scar massage, post operative joint replacement, trigger point therapy, plantar fasciitis, tendonitis, post operative spinal fusion and edema. During graduate school, Triessa sought out massage and yoga as a way to mentally unwind and physically decompress after 60+ hours sitting at a desk working and studying. It was then that she could truly appreciate the value of self care and its impact on her everyday happiness. These experiences awakened Triessa’s passion for health and wellness and desire to help others realize the same. To enhance her professional development after completing her graduate degree, Triessa became a Licensed Massage Therapist and a Registered Yoga Teacher. She earned a B.S. in Public Health from Richard Stockton College, a Master of Public Administration in Heath Services from Fairleigh Dickinson University and continues a career in healthcare administration today. Institute for Therapeutic Massage Inc.
Triessa really gets into the area of concern and can literally feel what is happening and work to release//fix it. Tremendous relief after just a few visits. Very sweet. Has a gentle kind way. Would like more insight without asking about her findings and exactly what she's doing and hopes to achieve. She was able to identify the issue and gave me great suggestions of things I could continue to do at home to continue my improvement. Triessa is very skilled and pleasant. She is very much in tune with what works and doesn't.